Food and Produce NZ offers a Standard 1 day food handler course in Tauranga and you can attend a further day to achieve our Advanced food handling certificate. These courses are for anyone training to work in a food business and concludes in an understanding of practices that result in safe food. Everyone who works in the food industry must practice good food safety methods so their customers do not become ill from eating food bought from their outlets. 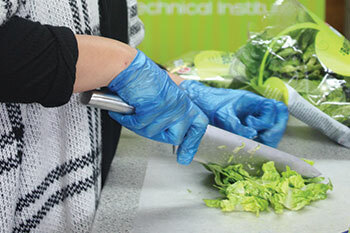 People who complete these courses are able to demonstrate knowledge of food contamination hazards whether chemical or physical and prevent cross contamination by handling food safely, delivering food that is clean, safe and of good quality. Prior to day 1 you will receive a distance learning module before a practical exercise delivered in our training facility with a review of the theory and an assessment. Participants will receive a Certificate of Achievement & NZQA credits. Personal hygiene and unhygienic activities through the use of good habits and avoiding bad habits. Cleaning and sanitising (there is a difference) work areas and equipment. Handling and monitoring high risk food correctly as well as storing them at the correct temperature as well as handling rubbish correctly and controlling pests in a food production area. We will look at and discuss the differences between microbes and viruses, bacteria, fungi, protozoa, and algae.